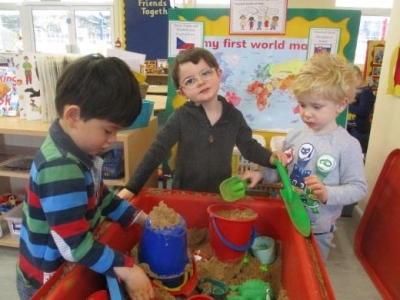 St Dominic Catholic Primary School offers Nursery provision in a happy, secure and caring setting. We aim to create a stimulating environment where all children are encouraged and motivated to explore, discover and learn. At the end of their time with us, we hope the children will leave Nursery with a solid foundation on which to build their future learning. We know that as parents, you aim to provide the best for your child - as educators, we want to work with you in partnership to do the same. 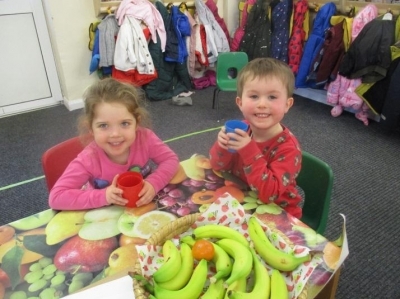 Our Early Years provision enables parents to access 30 hours free childcare with Nursery morning sessions, an optional Lunch Club and afternoon Pre-School run by Friends Together (our Breakfast and After School Club provider). We are offering 3 opportunities to visit our Nursery on Thursday 7 February, Monday 11 February and Tuesday 26 February at 10.00am. If you would like to see our Nursery in action, then please call the school office on 01582 760047 to book one of the visit days. For further information please visit our website www.stdominic.herts.sch.uk. Our mornings will continue to run for all, including the 15 hour current entitlement from 8:45am until 11:45am. In addition to the morning session, we offer Lunch Club provision. Parents have the option to pay for this session, with the children bringing in a packed lunch from home. For children just attending the morning session, this will run from 11.45am until 1.00pm and will cost £7.50 per session. For children staying for the afternoon session, this will run from 11.45am until 12.30pm and will cost £5.00. Both of these will be run by St Dominic School and we ask for parents to establish a weekly pattern for a half term block. 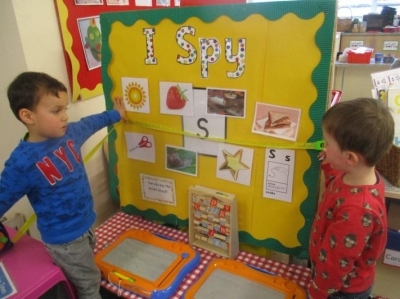 For parents who are entitled to 30 hours free childcare, the afternoon session is from 12.30pm until 3.30pm and will be run by Friends Together within the Nursery classroom. If parents are not eligible to the 30 hour entitlement, we are offering the option of paying for the afternoon sessions and this will be managed and payable to Friends Together. Friends Together are also able to offer breakfast and after school provision if you should require it. If you would like to apply for our Nursery and extended care then please visit our website www.stdominic.herts.sch.uk/Our-School/Admissions, where you will find details of how to make your application. The application process opens on 4 February 2019 and closes at 3.30pm on 4 March 2019.